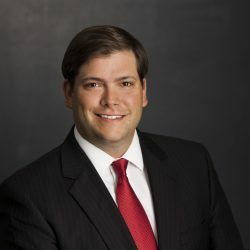 Mr. Speicher has been involved in the successful resolution of many business litigation disputes on behalf of plaintiffs and defendants, including cases involving complex real estate transactions and closings, complicated partnership issues, employment disputes, and construction defects. He has also handled numerous matters for clients in the areas of life, health, disability and title insurance, including claims disputes, provider disputes, and class actions. In addition to trying cases successfully to verdict, Mr. Speicher has been able to obtain important summary judgment decisions for his clients. Mr. Speicher works closely with his clients, and is focused on meeting their business and legal goals as expeditiously as possible. He approaches complex cases from a practical point of view, analyzing the circumstances of each case to distill key components and formulate clear arguments and strategies. Mr. Speicher brings enthusiasm and a common sense approach to each matter he undertakes.